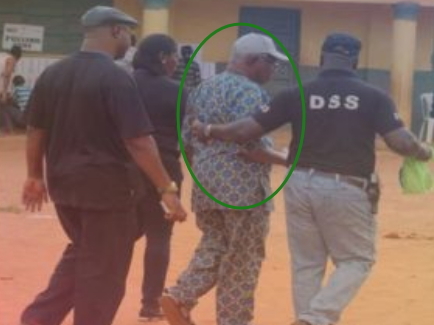 A 70-year-old man was yesterday nabbed in Anambra state for attempting to buy votes for one of the governorship election candidates. 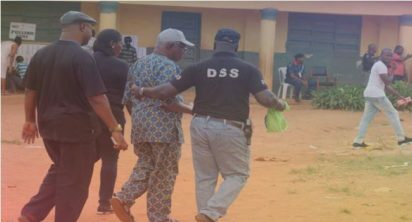 The elderly man whose name is yet to be disclosed was handed over to DSS operatives on ground at the Community Primary School in Amawbia town, Awka South Local Government Area of Anambra state on Saturday after he was caught sharing money he kept in a big ‘Ghana Must Go Bag’ to voters in order to convince them to vote for his preferred candidate . 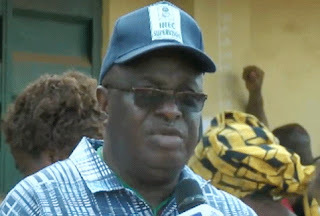 INEC Commissioner, Chief Solomon Soyebi who witnessed the incident said the elderly man will soon be charged to court. The man should have contested that election and would have probably won. Worldwide, 70 years and above is the trending age for winning election. As it is, he just lost his golden opportunity and rather walked into police net for nothing.